Our Wolf in Red T Shirt is made right here at Wolf Howl Animal Preserve. 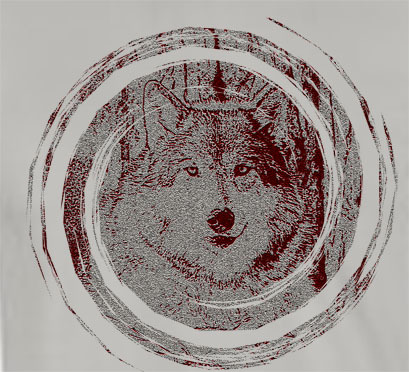 This 100% ultra cotton tee has one of our Wolves, the Alpha Female, Chito on it. This Wolf t shirt has a modern design and cool colors. It is preshrunk. Machine wash warm inside out and tumble dry medium.